With those words to the apostle Thomas, Jesus bestowed a wonderful blessing upon all of those disciples who chose to follow him yet never actually heard him preach a sermon or saw him heal a leper. While walking the earth, our Lord had contemporaries whom he had called directly to abandon everything and walk with him. He ate with people, prayed with people, talked about news of the day with people. He likely shook hands with people, embraced people, sang with people, sat silently with people. He made people fall in love with him. That was some dynamic community! Can you imagine the atmosphere in the streets of the towns, on the dusty byroads that connected those towns, around the synagogues and the markets? What about the mood among all those first-generation Christians when they were congregating in the houses where the apostles stayed? The power of the Holy Spirit to witness about Jesus. How great was that power? Well, consider what has happened the last 2,000 years or so. What began as “the Way” among some Jewish people in a very small spot on the planet now is called “Christianity” and is the world’s most common religion. Including Roman Catholics and all the various Protestant denominations, according to the U.S. government’s World Factbook, more than 31 percent of the world’s population consider themselves Christian. Almost 17 percent of the world is Roman Catholic. By contrast, 23 percent of the earth’s people call themselves Muslim and 14 percent are Hindu. Something amazing has happened the last 20 centuries – and still is happening. The human charisma and divine presence of Jesus obviously attracted people to him after face-to-face encounters if their eyes, ears and hearts were open. That’s how Thomas came to follow Jesus and believe he was the Christ. At some point, Jesus looked the man in the eyes and invited him to leave the life to which he had become accustomed in order to learn from the Master about the kingdom of God, his love and how to live like a child of God. The reaction of a true believer. That’s when Jesus made his prediction regarding the power of the Holy Spirit and the future Church. 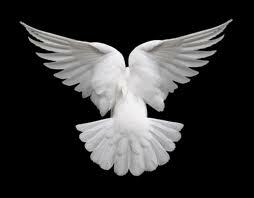 Jesus knew that after he returned to heaven, he would send the Holy Spirit to fill the hearts of his followers. They would continue to speak of the kingdom and God’s love. They would recount the stories of the miracles of Jesus and his teachings. They would talk of the sacrifice of the crucifixion and the glory of the resurrection. And people not only would believe, they would change their lives and follow. Sure, the message is powerful, beginning with the words Jesus spoke to his friends when he appeared after the resurrection. “Peace be with you,” he told them. Words of peace and love can have a huge impact upon people desperate for both. But the power comes from more than love when you are talking about a life-changing experience. It was the power of the Spirit moving in the testimony of the apostles that attracted new followers even after Jesus physically had departed earth. That created the dynamic atmosphere in the tales from the Acts of the Apostles. Christianity grew dramatically with people who believed without ever seeing. People such as … you and me. Indeed, when Jesus uttered that blessing in response to Thomas, he was thinking of us and blessing us. He was God. He knew what would happen in the coming centuries. He knew we would be attracted and follow him. Never underestimate the power of the Spirit.